CRYOGENICALLY TREATED 440C blade. 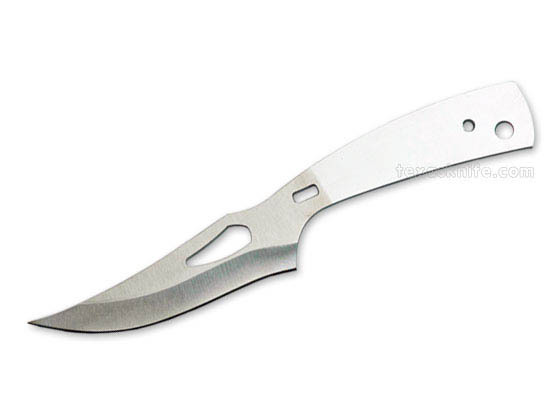 7-3/8" overall length, with a blade that is 3-3/4" long, 1/8" thick, and 1" wide. Use 1/8" pins and a 3/16" thong hole tube.